Have you been struggling lately with covering your expenses while still trying to make it as a freelance writer? Do you sometimes feel you have nothing to show for it even though you spend hours upon hours writing? Maybe it’s time to make more money writing. Certainly, being your own boss has it’s perks, right? You control your rates knowing there’s essentially no end to how much money you can make. Indeed, when you think of your freelance writing as a business, you can start looking at how your business – not you – can make more money. And if you are a freelance writer writing for content mills, now is the time to ditch those low-paying jobs and get yourself ready for high-paying clients. Stop thinking that you aren’t worth it! You don’t have to have a degree in journalism or have been published in the NY Times to be a successful freelance writer. If you have the passion, persistence and desire to write, I don’t see how anyone couldn’t succeed as a freelance writer. So, let’s see how to get out of the content mill mindset and into a business savvy solopreneur money making position. Increasing your rates is one of the simplest yet nerve-racking decision to make for your business. Just the thought of telling your client your rates have increased can send you into a corner — panic-stricken and anxious. When you start thinking about why you need to increase your rates, it doesn’t seem as overwhelming or as daunting of a situation. Instead, it’s a necessary and required piece of your overall business plan. So, how do you increase your rates without scaring off clients? If you know a prospect needs content quick (the launch of a new site or blog), you can charge a rush fee that’s 10-20% higher than your normal rate. Similarly, if you are aware of a client or prospect that can’t keep up with his blog or content needs, you can approach him with a high rate, because for businesses, time is much more valuable than money. For more negotiation tactics Amy Dunn Moscoso has some killer tactics you can use to secure higher rates. There may be times when your existing clients will have other content needs for their business and it’s right up your alley. Pitch to them your other services such as article writing, editing, or interviewing as a strategy to upsell. Or, if you have a great idea for a lead generation tool (like a white paper), let them know you are available for writing that piece. When you can provide more than blog writing or site content, you can quote a higher rate and be assured that you will have consistent work. Some freelance writers increase their rates for every new client they secure. This has the added advantage of increasing your pay, but it also helps with weeding out low-ball offers when they know you’re in the $200/post range. How do you know when to stop increasing your rate? When prospects stop contacting you, or, when you find a happy medium. This one is the hardest for most freelance writers. You think, you have a good thing going, so why rock the boat? You might be thinking this, but your client is sure thinking that they’ve scored a great deal when they hired you and you haven’t even raised your rates for over a year. However, as of the new year, your current rate will be below my floor. That’s why starting in January, my rates will be X. One thing I don’t see many freelance writers do, is to diversify their income streams. Some feel comfortable only writing and nothing more. Still others may not even realize it’s a possibility for them and continue to offer only blog writing or copy writing. If you want to make more money, I highly suggest you diversify your business. When you have income coming from multiple sources, the possibility of losing a client stings less and gives you a cushion to fall back on when you are pitching to other prospects. Offer more services besides writing – Some freelance writers offer editing and social media marketing in their list of services. Other services include Virtual Assisting, offering coaching services to new freelance writers, and eBook designing. Have a product to sell – Are you sitting on a great story or idea? Having your own business means you can try new things. Many freelance writers have their own informational eBooks, short stories, or novels that they sell on their website. I’ve also seen other freelance writers promote their own e-course to help other writers sharpen their craft. Affiliate marketing – Anyone who is anyone is doing affiliate marketing. While this doesn’t make you rich, it can provide you with consistent money every month, granted you have a deep knowledge of your audience’s interest and can tailor your marketing to them. Google AdSense – Many blogs today have ads displayed on their side bars or in their blog posts. If you have a blog, you can display ads when you know many people visit your site. Wouldn’t it be wonderful if you can have continual work from one client? While you think blogging fixes this problem, it doesn’t fix it completely. Businesses may hire more writers, giving you less work. Or, businesses may not value their blog and decide to veer in a new direction. To help curb these possibilities, you want to have recurring income in case a client’s blog goes belly up. The easiest way to do this is by having service packages available. And don’t think you have nothing to offer. If you’re online, you know plenty of marketing and social media tactics that many businesses haven’t got a clue how to implement. For a package of this nature, you can quote anything from $300 and up per month. When a client sees the value you provide as a freelance writer, they would be hard pressed to let you go. Now this step doesn’t automatically make you more money, but it can help you make more money in your business. The beauty of Mastermind Groups is that participants raise the bar by challenging each other to create and implement goals, brainstorm ideas, and support each other with total honesty, respect and compassion. Mastermind participants act as catalysts for growth, devil’s advocates and supportive colleagues. I recently joined a mastermind group of solopreneurs, and it has really opened my eyes to focusing on treating my freelance writing as a business opportunity. By looking at your metrics for success, you can see where you might be struggling (inbound marketing, client acquisition or number of “callbacks” from your pitch), and having a mastermind group is a great way to be accountable in setting and accomplishing your goals. Inspires me when I hear about other solopreneurs accomplishing their goals and setting high standards. Motivates me to take action and set measurable goals. Is a sounding board for when I have challenges or need some advice. Is helpful if I’m stuck in my business or product. Anyone can start a mastermind group. You can host them on Google Hangouts or on a private Facebook group. Connect with other freelance writers or business people and you’ll be surprised at how talking to other people can spur you to make more money. Freelance writing can be profitable, even more profitable than your day job. 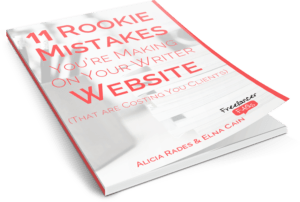 With changing your mindset from a one trick pony that only offers writing, to someone that has many tricks up their sleeve that will help clients increase their profits, you have the ability to move up the ladder of success. Start thinking of an email to send to existing clients letting them know of your new rates. Think of five different services you could provide to diversify your income. From blog management to brand messaging, find what you excel at and capitalize on it. Jot down on-going services you think your client would benefit from. If they lack any social media presence, offer to set that up for them and maintain it on a monthly basis. Network with other freelance writers to see if they would be willing to join a mastermind group. Groups are usually structured and have a system in place. How are you increasing your profits in your freelance writing business? Let us know in the comments. How Can I Get Enough Freelance Work Each Month? Excellent article, Elna. Thanks for sharing with us today! Thanks for having me on your expert panel! I enjoy sharing my expertise in getting your freelance writing off on the right foot. Thanks for sharing these tips Elna. I like that you also talked about how to go about raising your rates, which is definitely intimidating for new freelancers. Raising your rates can be intimidating, but if you truly want a thriving business, you have to go for it. The easiest way is to increase your rate for every new client. You can lock in your older clients at your original rate, if you feel you don’t want to confront them. Currently, that’s what I’m doing, but will eventually let my older clients of my new pay scale. What I really liked is how you provided a sample letter of increasing rates for the client. You don’t see too much of that anymore. I definitely agree! Having samples like this is always so much easier for me when I have to write a hard email. Thanks Lorraine and Alicia. We should really thank Carol Tice for giving us some insight on how to increase our rates! It is definitely a scary thing to do, but empowering nonetheless! Very informative article…Liked it..Please keep them coming folks..! !